Entrepreneurs or creative freelancers are deliberately avoiding the security of a regular salary. They are trying to skip the traditional workplace. Well, there is a chance that you are one of them, who loves working in a flexible environment. Increased online connectivity, employee dissatisfaction, and economic downturn attribute to the rising freelance economy. People now offer their services on demand from anywhere in the world, bypassing the need of being chained to a particular office desk environment. In fact, the number of people opting to leave the regular office desk job is increasing exponentially day by day. Some freelance professionals argue that working from home comes with numerous advantages such as avoiding morning rush, not having to wear formal clothes, increased productivity, no distractions like chatting with colleagues to endless meetings. But, what they later realise is that working in casual wear gradually starts to make you feel unprofessional with an unorganised working schedule leading to a poor standard of work and late deliveries. Homely distractions start interfering with your work and you may soon start feeling isolated. Trust and credibility of your professional work reach the lowest while working from home, which eventually leads to less work and less income. Your home address may leave your potential client unimpressed and doubtworthy. Well, there is a way which ticks all the boxes of professionalism and freelancing work. 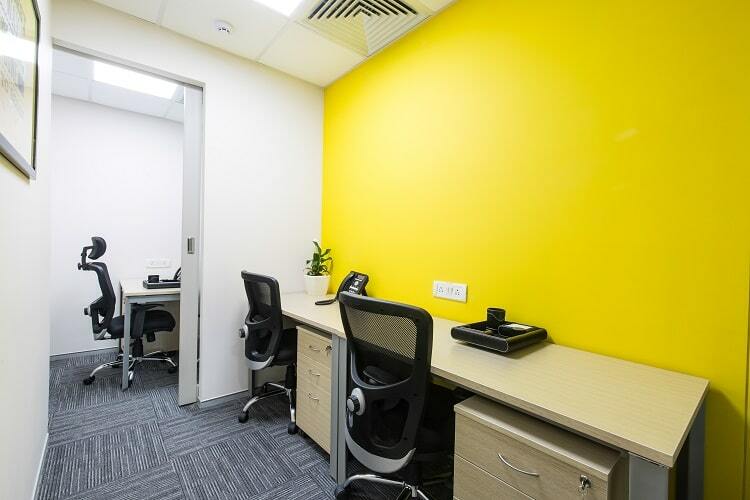 Serviced office is one place where you can work with flexibility just like a professional while maintaining your credibility, regular working regime, and professionalism. Co-working spaces or serviced offices work best for the freelance workers. This involves having your own personal official space in a facility where other professionals share the commonly divided area with you- typically, resources like meeting rooms, Wi-Fi and essential utilities have shared access. Availability of essential business services, like photocopier and courier services. Premium business address to win trust of your potential clients. Fully equipped meeting room or boardroom for better discussions, unlike baseless discussions at the Coffee shops. No feeling of isolation and a better chance of networking with like-minded professionals. No pressure of signing a long lease or investing in office infrastructure. 24*7 hi-speed internet connection services available to run your business smoothly. No more parking issues with our Dedicated office space in gurgaon. In addition to above all, our serviced offices/coworking space in Gurgaon are affordable with premium facilities.